EXCLUSIVE AT NET-A-PORTER.COM. With its timeless silhouettes and distinct 'Eye of the Needle' detail on each heel, it's easy to see why our Global Buying Director Elizabeth von der Goltz dubbed Jennifer Chamandi one to watch this season. 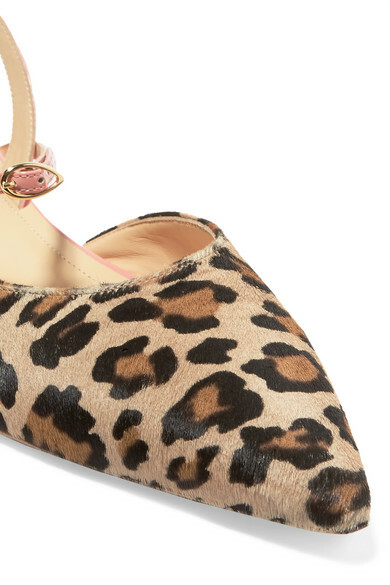 These pointy 'Vittorio' flats are made from pink patent-leather and leopard-print calf hair that create such a cool contrast. Detach the second strap for a more streamlined look. 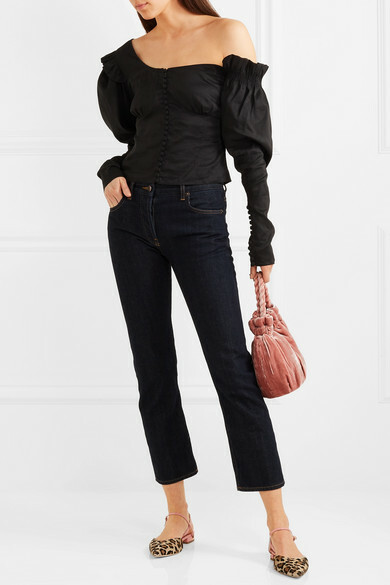 Shown here with: Magda Butrym Top, The Row Jeans, STAUD Tote.